I recently had some big knitting fails, and I thought I should share. They happened to be on the same day, so it took a little bit to accept my failures and move on in order to share, but I made it. 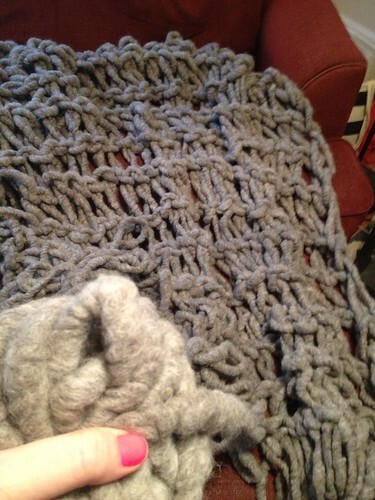 I set my mind to make a large scale chunky knit blanket. I saw a video about how to knit items on your arms. I decided to make a blanket on my arms. I realized that I would need to do this in one day, but the Internet told me it would only take an hour. Typically, I am on the slow side, so I thought an afternoon would suffice. I watched several videos on arm knitting and selected two to have ready while attempting to learn this new technique. As I watched my progress I realized that I was not really making a chunky knit blanket but rather a large alpaca fishing net. I was a little excited because I had a reason to rip out my “blanket” and order the size 50 needles so I could make a chunky knit blanket. 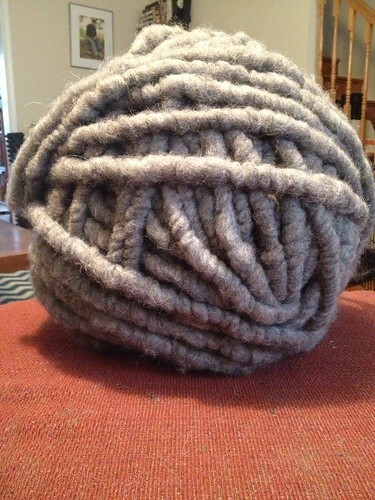 This yarn will one day be a super chunky blanket. After the first fail, I decided that I should make a “quick” knit hat that I wanted to make during winter but never did – Techno Hat (it is a free pattern from Blue Sky Alpacas and I still totally want to make it). I had the yarn and needles already to go in a bag next to the couch where I typically knit. Today was the day! I measured my head and did the math to figure out how many stitches to cast on so that the hat would fit (I have a big head) and I was off. 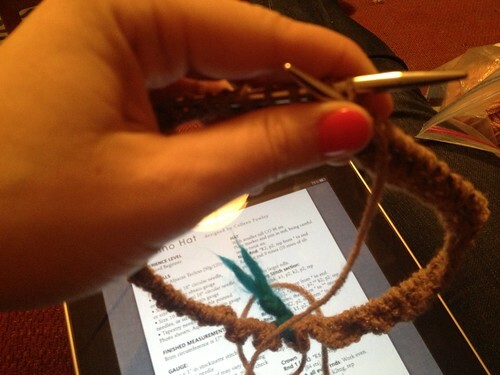 I quickly knocked out the ribbing and moved on to the tricky new stitch – smock stitch. I had the pattern down until I reached the end. I realized that I thought the pattern was a multiple of 4, but really it was a multiple of 8 so I had four un-smocked stitches. It is hard to see in the picture but there is a loop that encircles some of the stitches and I had one group that would not be encircled. I continued thinking this would be no big deal, but as I have learned in the past, a little issue in the beginning usually only looks worse later in the pattern – definitely not better. 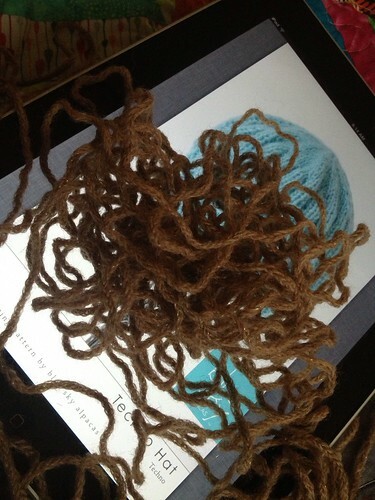 I’m still excited to make this hat, but it will be a little later in the year most likely closely to next winter. 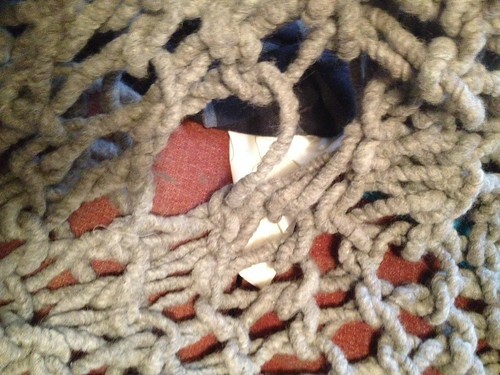 This entry was posted in Knitting and tagged blanket, fails, hat, Knitting. Bookmark the permalink. 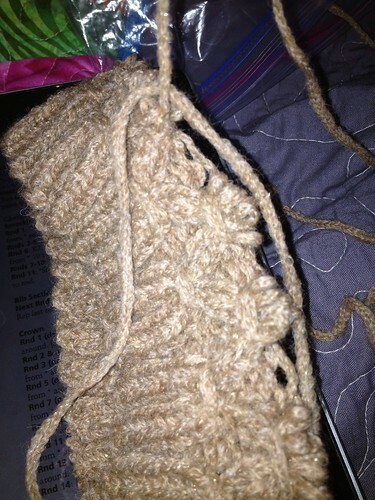 Sigh, knitting fails are the worst. I still have high hopes for the blanket! Next year you will be able to curl up with it during Oscar Movie Watch. I’m so excited for that day! Hi! 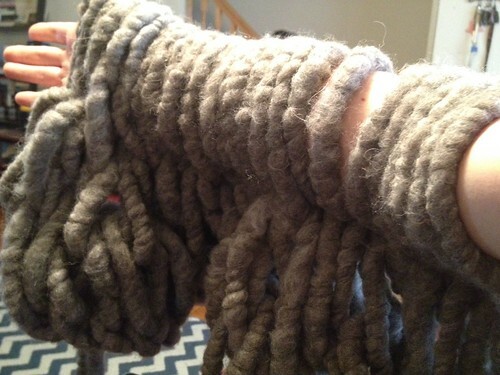 Where did you find that super chunky yarn? Thx! Loopy Mango is a yarn store in NYC but you can order online and get it shipped.